I’ve loved books since before I was literate. My mom tells stories of me carrying around my favorites, making up my own stories to go with the illustrations. Once I started reading, I never stopped! My passion for learning from books has been lifelong, as well as an appreciation for vivid illustrations, and generally unique creations. 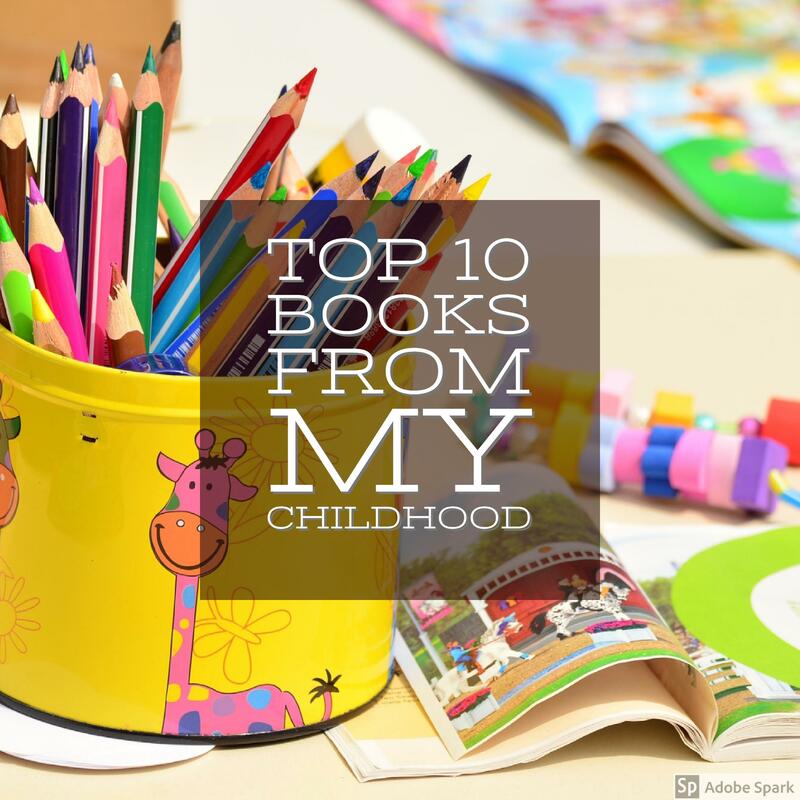 When I think about the books that have shaped my life, I go all the way back to early childhood. While there are many books I’ve read as an adult that I credit for making me who I am today, these listed are the ones that set the groundwork. When I was a young child, one of my mother’s friends gave me a Secret of NIMH board game. I loved the images on that board, even though I didn’t know it was related to anything else. 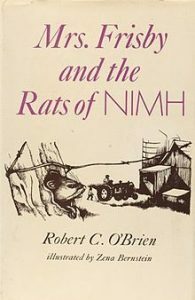 Later, when I was in elementary school, I was shocked to witness me teacher pass out tattered paperback copies of Mrs. Frisby and the Rats of NIMH. I quickly realized it was the basis of my beloved board game, long gone from my life by that point. 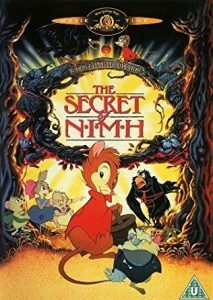 After reading the book, our class watched the animated film The Secret of NIMH, and so began my lifelong view that the book is ALWAYS better than the movie. I watched the movie several times as an adult and am still surprised by how dark the premise is! No surprise here, right? 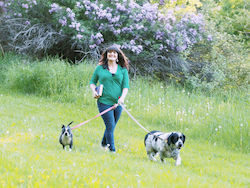 I’ve written previously about sharing my name with Ramona Quimby, it’s always been a joy. These books played a pivotal role in my childhood because they made me feel less alone, and more comfortable having an unusual name. I found the book at a thrift store when I was about seven years old. The illustrations were fascinating, and when I grasped the story, it was burned into my brain. I credit this book for at least partially sparking my interest in veterinary medicine! I’ve been a sensitive soul as long as I’ve been on this earth. 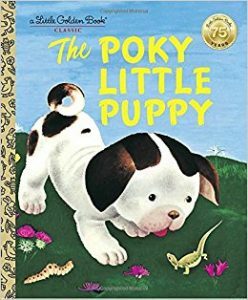 I cried my eyes out over this book as a little girl. The sweet little puppy comes home from adventuring and the hole is all filled in and he goes to bed with an empty tummy! 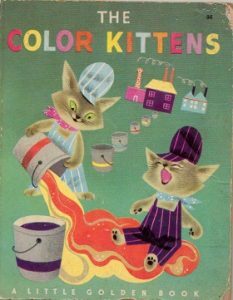 I first saw this book on the spinning rack in the corner store my mom and I frequented when I was in kindergarten. I clutched it tightly as we walked home, staring at this glorious cover. I found a copy at a yard sale for a quarter several years ago, and my heart nearly exploded with joy! I had forgotten how wonderful the images are. When I showed it to my husband and told him how much I adored the book as a child, he wasn’t surprised! 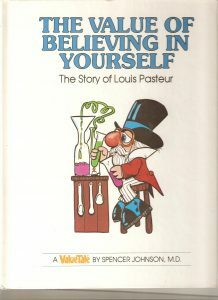 I can’t help wonder if this book contributed to my lifelong battle with anxiety! I’d turn each page, totally freaked out by Grover’s panic. I almost expected the story to have a different ending than what I’d found previously. This is probably one of the books I carried around as small child, before I could read. 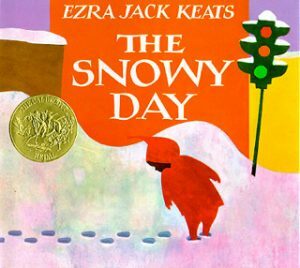 The unique illustration style allows the story to be told without words, as Peter explores his neighborhood after the first snowfall of the season. 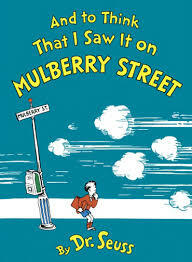 This story was fascinating, funny, and terrifying to me in elementary school. It also served affirmation that my rule following tendencies (which often resulted in my being called Teacher’s Pet,) were warranted! 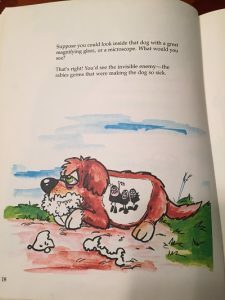 I guess I’ve always been a sucker for a canine narrator! The concept of animals who communicate with each other entertains me to this day. 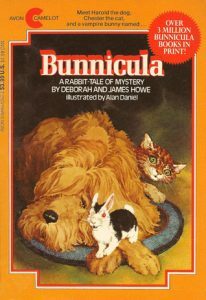 I loved the idea of a bunny being the “villan,” and the imagery of vegetables drained dry by Bunnicula. I’m sure I read the rest of the books in the series but can’t recall them as I can this one. What do you think of my list? What were your favorite books as a kid? Thank you for taking the time to read my posts. It means a lot to me. I’m glad this one made you smile. 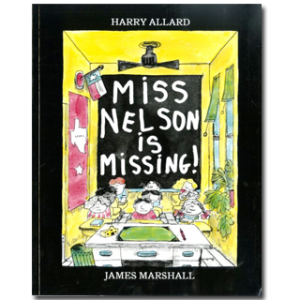 Miss Nelson is Missing! Yes, that one is so good. 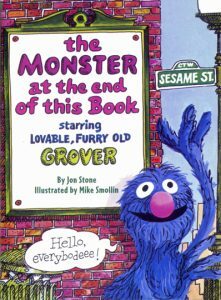 And I just passed down my copy of my Grover book to my niece.